Todd Bourgeois was born raised on a hay and cattle farm in Southwest Louisiana where he obtained his bachelor degree in Exercise Science from in 2005 at McNeese State University. He then received his entry-level doctorate of physical therapy from the University of St Augustine for health sciences in 2007. After receiving his physical therapy license he practiced in a private orthopedic and sports physical therapy clinic for 2 and half years in Destin Florida. Todd then decided to take his career on a different path to see if he had what it took to be an educator in physical therapy and enrolled in Fellowship program at the University of St. Augustine, which he completed in December of 2011. 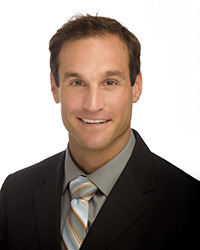 Currently he practices physical therapy at a manual orthopedic clinic and a full-time instructor for the University St. Augustine in Spine, Clinical Integration, and Anatomy courses. He also participates in mentoring the Fellows in Training at the University of St. Augustine. He is currently seeking a terminal degree program that he can advance his profession through research in the area of clinical excellence utilizing manual manipulation.